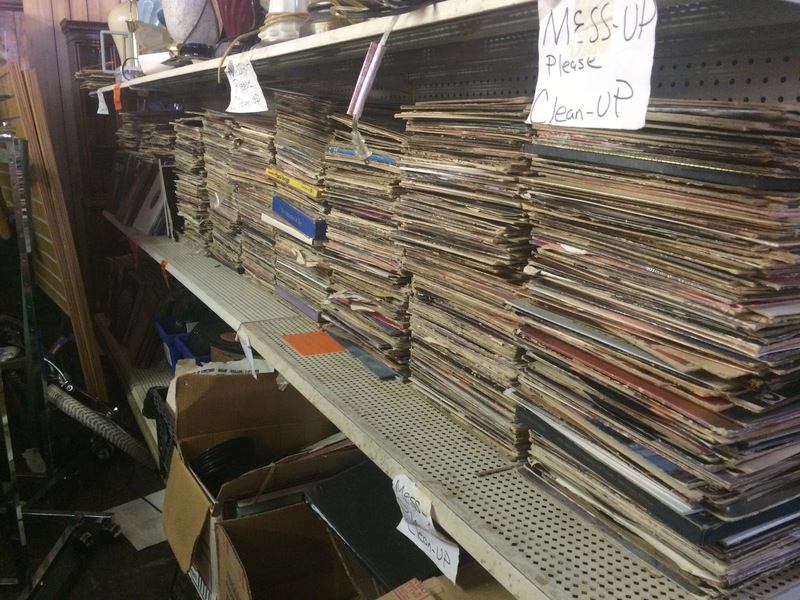 During my second trip to Hammond in about a month, I planned to make time to check out some vinyl in the area. 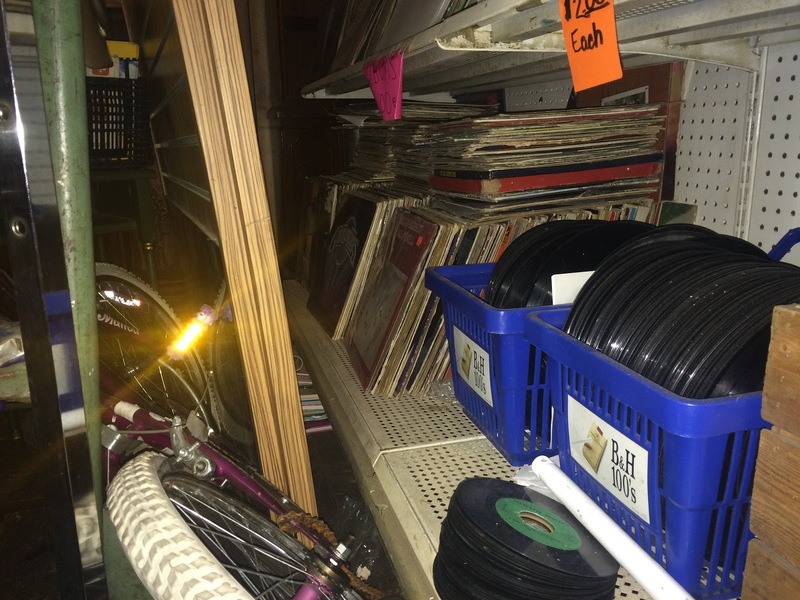 I initially drove to a Salvation Army in East Chicago - only to find that it was basically a soup kitchen and had no thrift store. 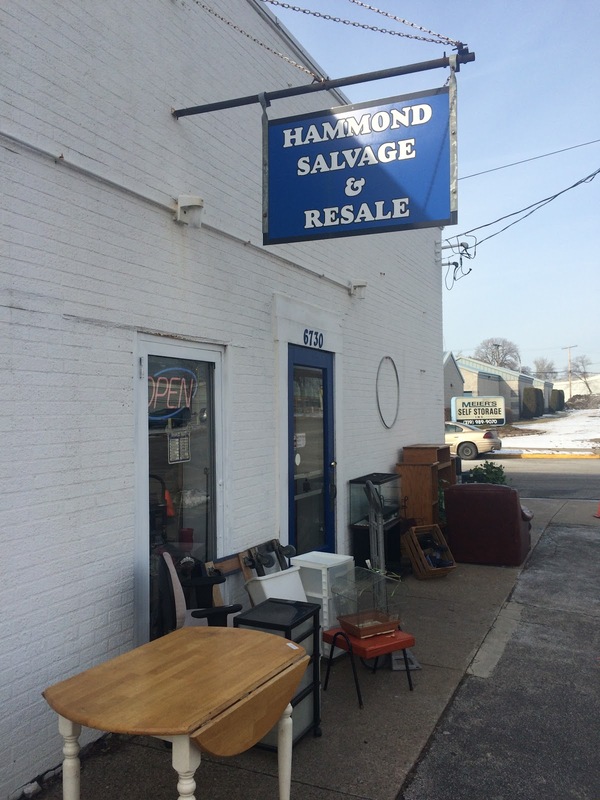 I awkardly aborted mission and headed over to a St. Vincent's (which I later learned did not exist) when I drove by Hammond Salvage and Resale. After a couple seconds of pondering, I slammed on the brakes and pulled over to check it out. 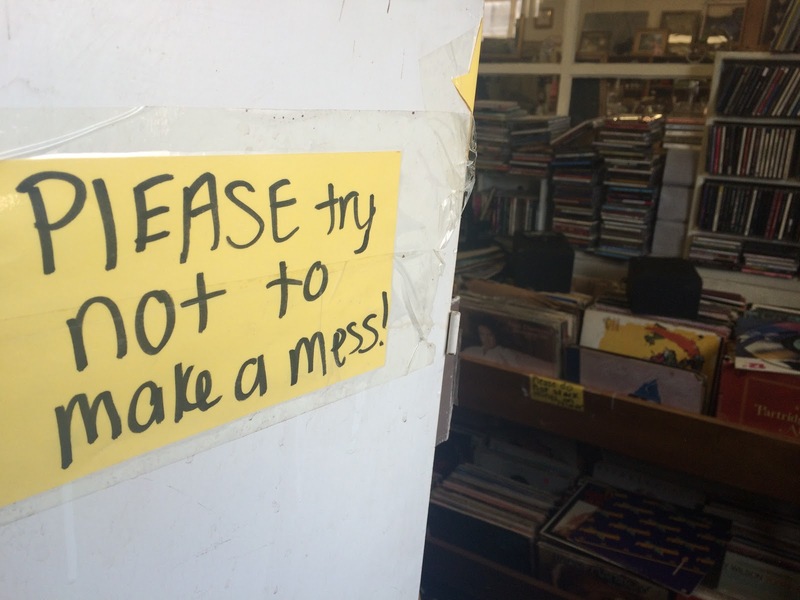 I asked the clerk if they had any records and she pointed into another room about 20' away. 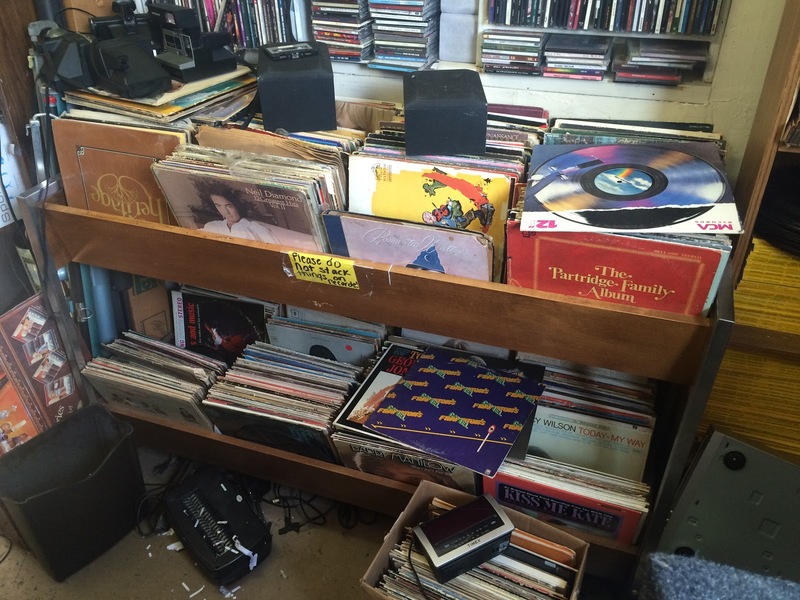 I could see from there a small rack of vinyl and I was pleased I hadn't stopped for nothing. I checked out the rack and saw almost nothing of interest. I wasn't totally bummed and I was about to leave when I noticed there was another rack nearby. All of a sudden I realized that I had some serious blinders on. The entire room was jammed with vinyl, and I do mean jammed. There was piled and boxes on the floor. There were magazine racks stuffed with vinyl so you couldn't see what was behind record without bending the one in front of it at painfully acute angles. 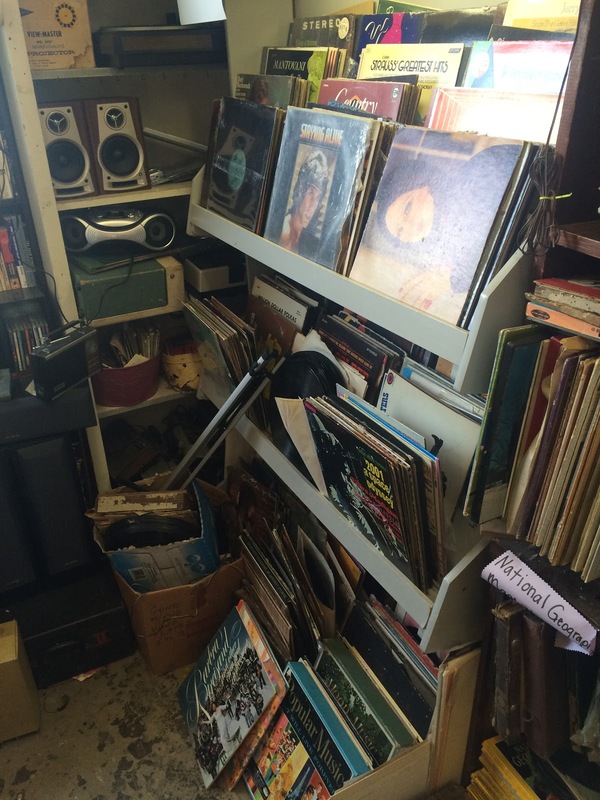 There was bookshelves brimming with 7" and 12" records with no sleeves at all and even two large record bins - with more piled on top to boot! I swore a while back I would stop looking at Ray Price records but I am addicted. I came across a couple others I already had but I have never seen this before. It is in staggeringly good shape considering the rugged environment it has been living in and contains some excellent standards of the era. Regrettably, I already have the tracks of the greatest interest on a comp I grabbed a while back. 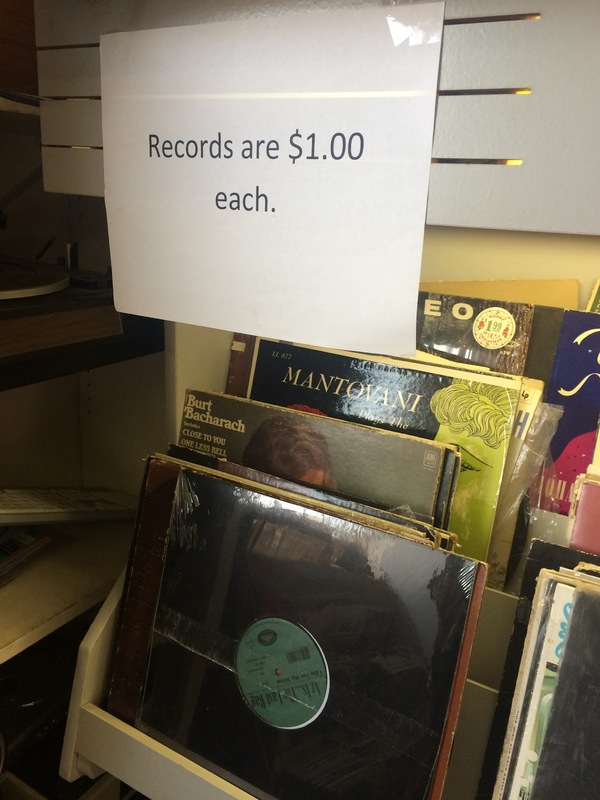 No matter - I never started collecting records to be that efficient. Baja Marimba Band, The* - Those Were The Days and Watch Out! I was able to grab two additional A&M releases in one shot - my long delayed journey to collect the 10 piece discography is already half done as I just purchased another on ebay with a larger lot of vinyl. With pop records of old, I often play a game where I see the cover, then not knowing the tracks that lie within, I give myself an ultimatum: if it is the record I think it is (contains hit(s)), then I will buy it. If not, back into the bin it goes. This has two blockbusters but the other tracks are equally as accessible and excellent. I listened to side A twice back-to-back this morning with my coffee. Better yet - it is the Mexican import version. Also a rare find in that the original sleeve with lyrics is intact. It is not ripped - the seam came unglued. I see this with some regularity on jackets, but rarely on sleeves. I shall reglue it this morning when my blogging is done. Many months ago, I came across a really bizarre record which I left behind at a Goodwill. I know I will be back that way eventually and I surely will stop again to grab it. Until then, I exist as a tortured man but at least I learned my lesson. When I find records on that level of strange, I never leave them behind. While the Polka Teens record best quality may be that it is rare, this one is actually good. I can still find only fleeting info on the net about Trilly Cole but this is a great record and a live recording as well. Her banter is comforting in some way via her accent and the song selection is great. Best of all - there is an 'I'M A TRILLY COLE FAN' bumper sticker within which is now pinned to the backsplash of my record rack. Months ago on my annual pilgrimage to the Sunshine State, I got wind of a conversation between an elderly client and the proprietor of a store I visited. He was searching for a record he knew by title, but did not know the artist. I later learned what he was searching for, and I found the record he desired myself and did not hesitate to grab it. Best of all, it is the original pressing in mono. Proud to have this in my collection. Old timer - this one is for you. I came across another thrift store on my way back to the expressway on my exit from Indiana and had to stop. 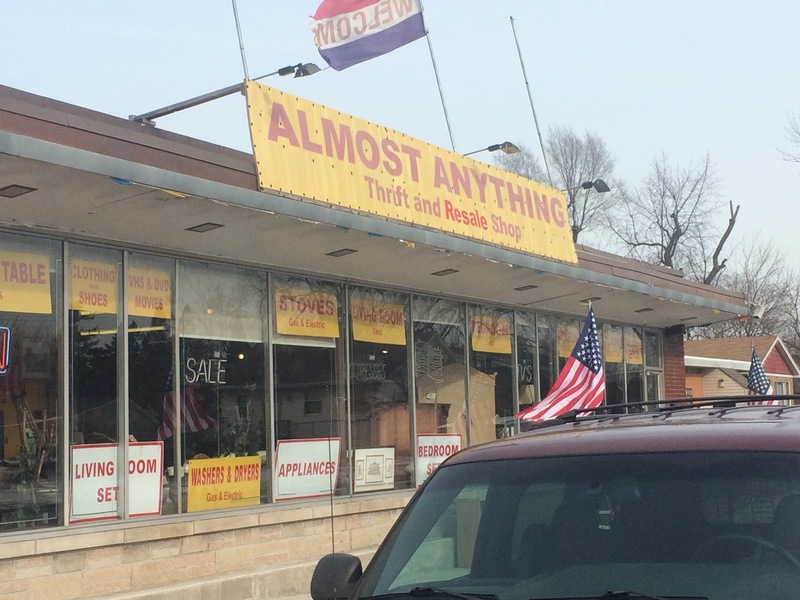 'Almost Anything' surely did have just that - including a giant mass of records. 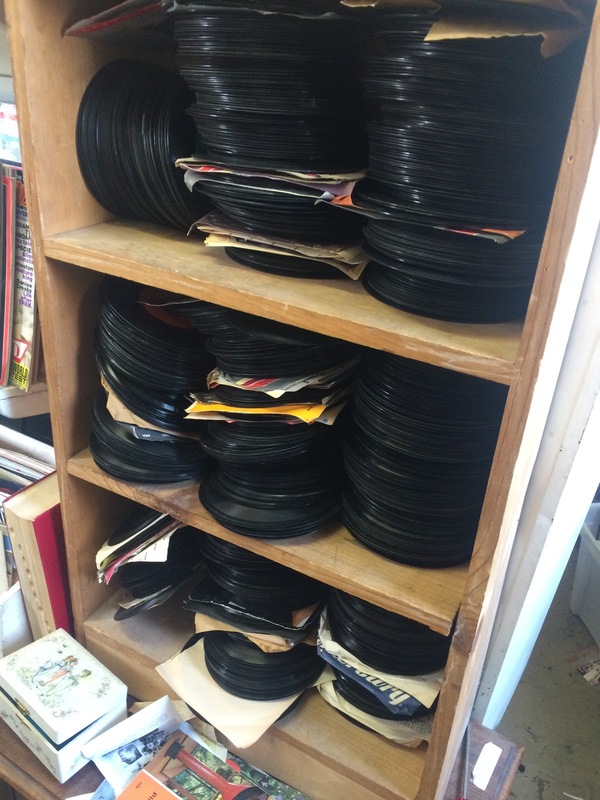 However, never before have I seen such a wild mess of vinyl, totally innavigatable. I honestly never before dreamt of the horrors of milkcrates PACKED with naked vinyl, their jackets and sleeves long since discarded. The place was dark and dank, it was terrifying. Worse yet, the place was a concentration camp for records where ring wear was inflicted en masse via giant heavy piles, weighing down over days, months...years. 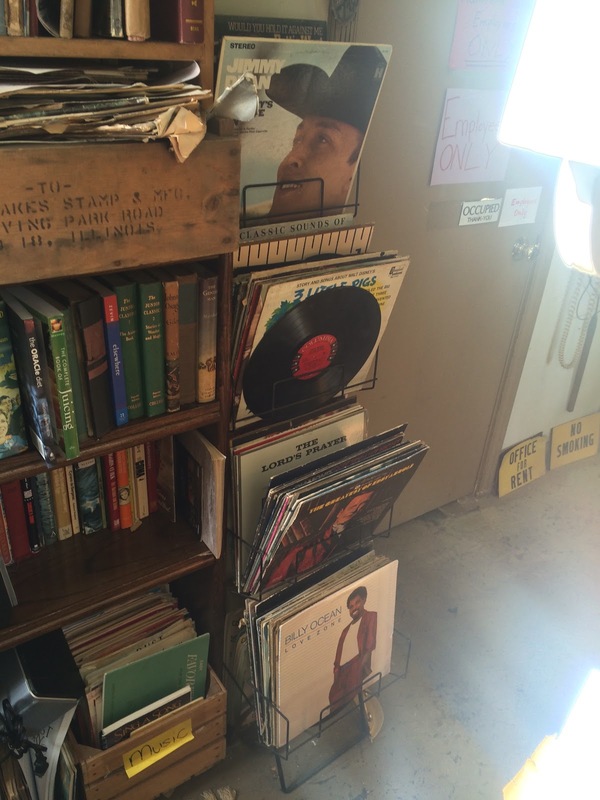 Some other vinyl looked possibly intriguing but my passage was blocked via lamps and other junk. My mission fufilled I headed back to safer territory where records only reside in wonderful plastic sleeves, stored upright and never crushed like old beer cans. A trip of polar opposites and great scores. 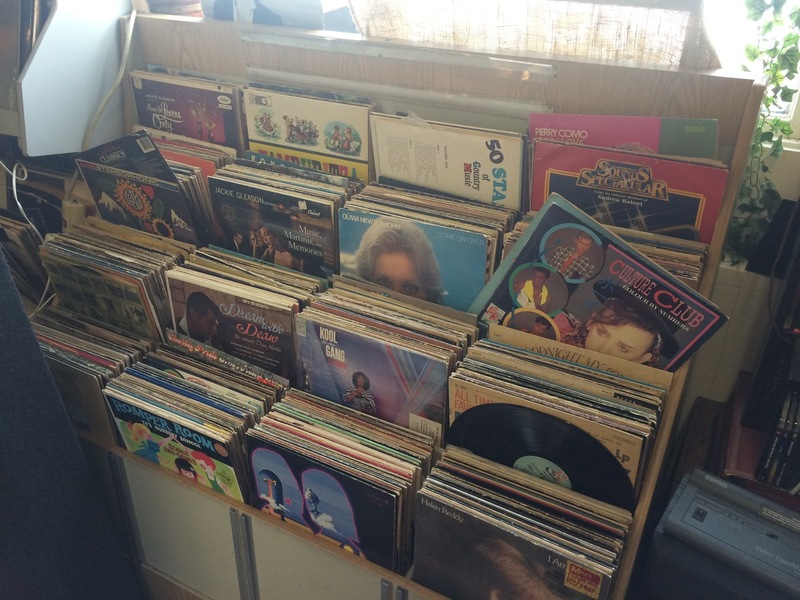 Enjoy the mix below culled from the records I brought home.